Discover the flora and fauna of the Texas coastline in the new Hamman Hall of Texas Coastal Ecology with HMNS master docents. Environmental characteristics distinct to the Texas coast, as well as critical habitats and opportunities for conservation and restoration will be covered. This after-hour tour will also include a walk through the adjacent Farish Hall of Texas Wildlife. Armored warriors of the past inspired the creative genius of a filmmaker-in a galaxy not so far away. 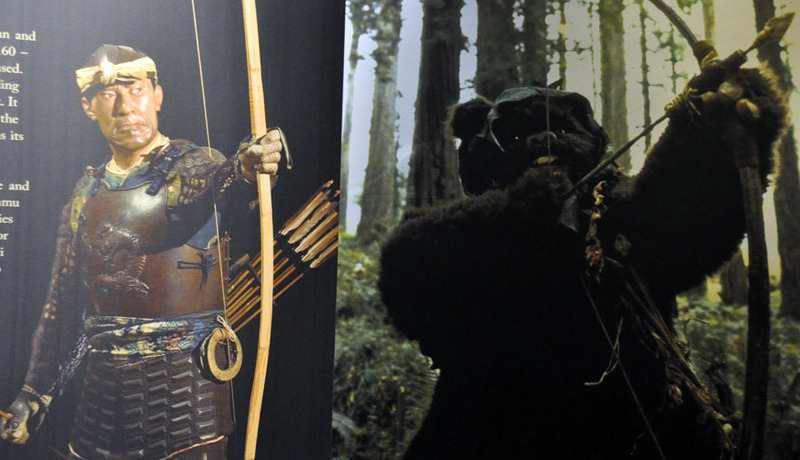 In this multimedia tour of the Samurai, The Way of the Warrior exhibit–led by HMNS staff and a few guest Jedi, Sith and samurai guides–the origins of many of George Lucas’ Star Wars heroes and villains will be unveiled. You will also enjoy demonstrations of light saber and kendo katana. The compelling links between Samurai and Jedi will build your appreciation for both. Get 15% off your entire order + FREE shipping. Use promo code 15FREESHIP. Sale ends Sunday, August 23. Next Post What's the perfect B-Day? Puppies, reading and the museum!